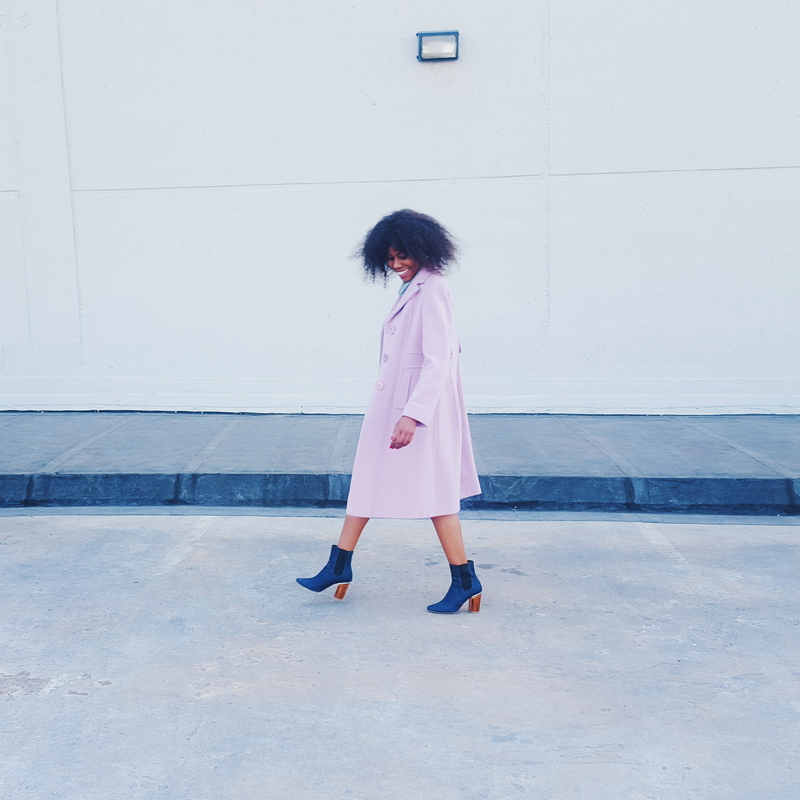 There is no arguing that dusty pink is fast becoming a go-to colour and will have you looking bang on trend in an instant. I have to admit though that this was probably the first time I consciously wore something pink, deviating from my usual inclination to wear dark colours. 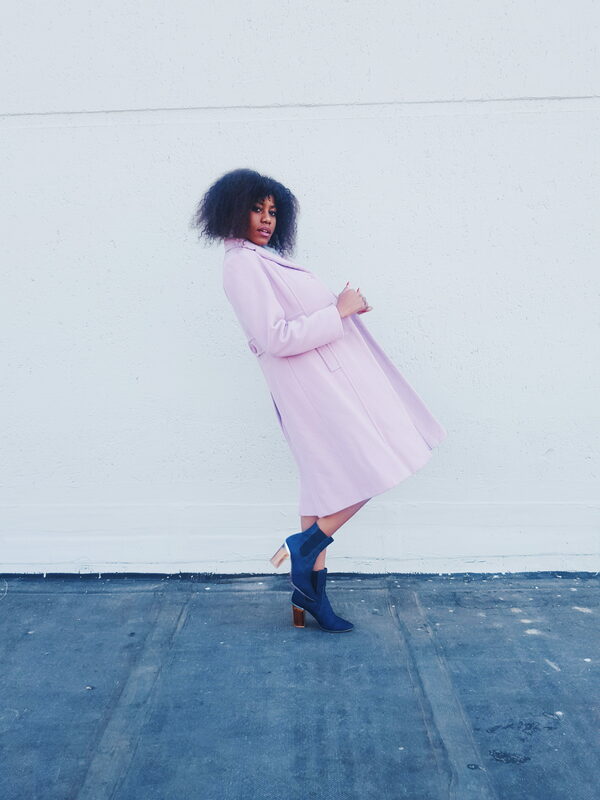 I owe this sudden interest in pink to the ever so fashionable Solange Knowles who opened my eyes to the world of all things pink, as I mentioned in Minimalista. Summery colourways are now being incorporated into Autumn/Winter fashion so don’t shy away from experimenting with colours. 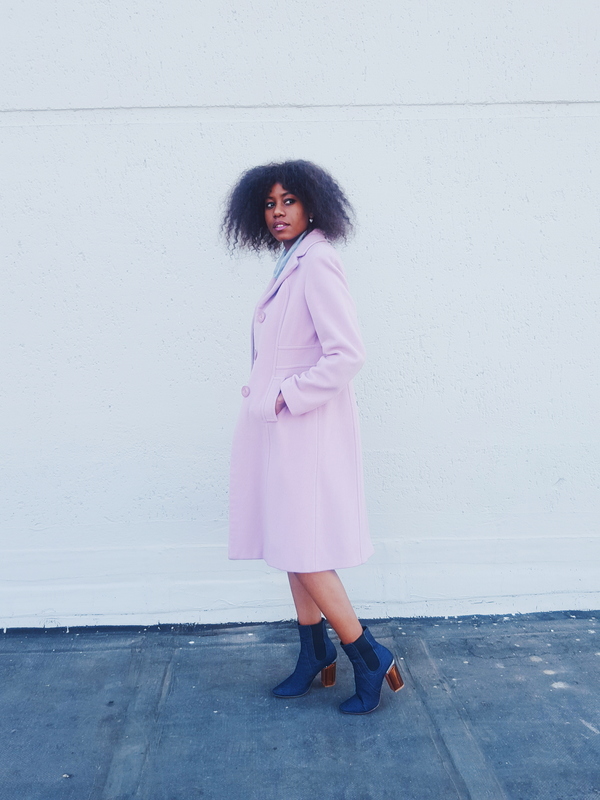 This coat does a great job at satisfying my new love for pink and it will be good to mention that this neutral shade of pink is not too bold and lends to a minimalist aesthetic. 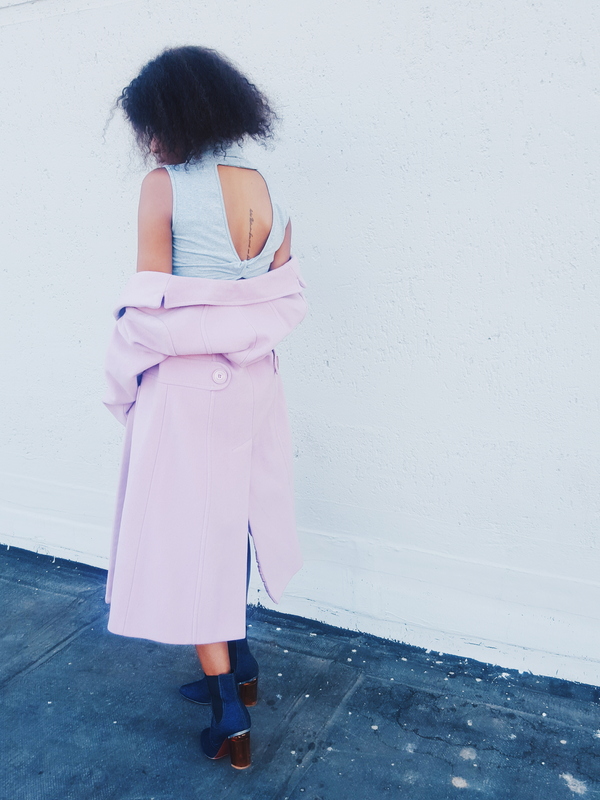 In Part II of Coats & Perspex I’ll be talking about another summery colourway so look out for that. As if stepping out of my comfort zone and wearing pink wasn’t enough, I just had to throw in some denim perspex boots, you know for that ‘edge’. It’s also a total contrast to the coat but a good one nonetheless. Anyway, I’m so obsessed with the perspex heel trend and just had to get myself this amazing pair. Me being me, I opted for denim which doesn’t make for a conventional choice when it comes to shoes. I also added a backless grey dress again for the ‘edge’ and to show off my tattoo that I never get to see. Never be afraid to play around with colours and different aesthetics.